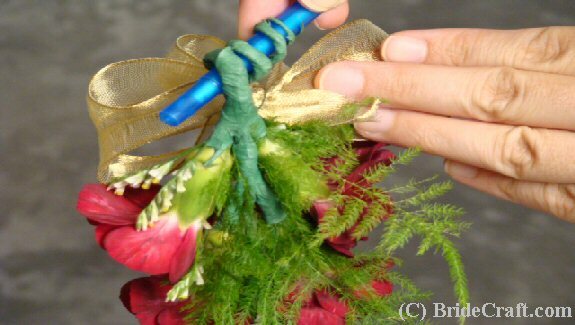 How to Make a Corsage! 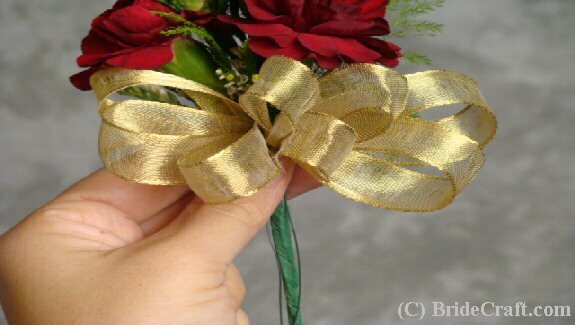 Want to know how to make a corsage? 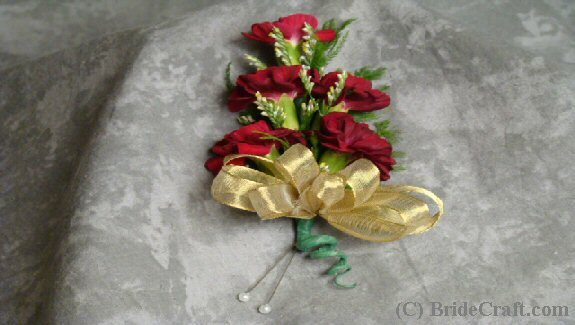 Want to make sure that the wonderful women in your life are honored with a corsage? 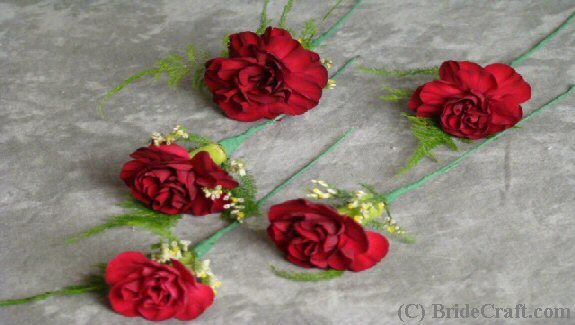 Would you love to know how to make a corsage like the top florists do? Then you're in the right place! Below you will find a step by step tutorial showing you how to do just that. Pros: Roughly a $10 savings per corsage. Oh, maybe you have two moms and three grandmothers between the two of you. That’s a $50 savings. Medium difficulty project that’s fun to create. And won’t those special ladies feel even more special when you tell them that the corsages were made with love just for them? Cons: Like all fresh flower projects, this must be done very close to the wedding day (possibly as close as the day before). 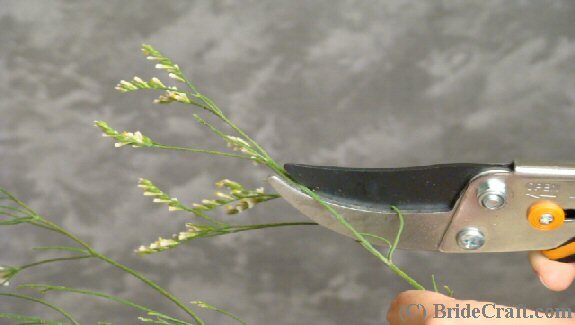 Depending on the types of flowers, they can be wrapped and stored in the fridge. And this project does take a little bit of time! 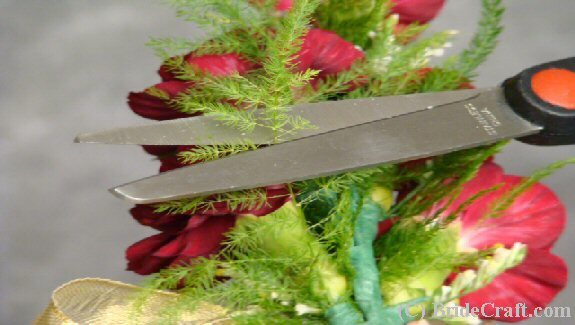 Step 1: You will need 2 stems of spray carnations, 1 stem of filler limonium, some fern, thin-gauge wire, thin wired ribbon, 2 large pins, green floral tape, scissors, floral or garden clippers and a pen. 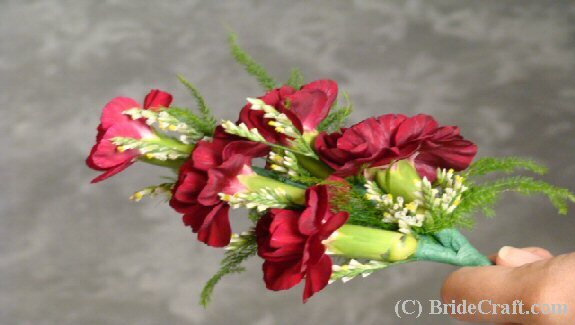 Step 2: Trim your carnation heads so that they still have a little bit of the stem left on them, as shown. Step 3: Continue until you have five blooms. Step 4: Continue Step 3 with your filler flower and your greenery. Step 5: You should have a little collection like shown. 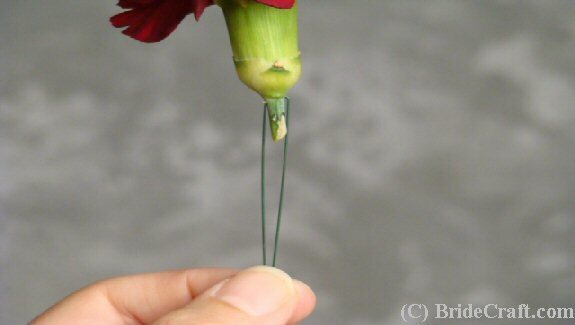 Step 6: Take your thin-gauge wire and pass it through the base of your carnation bloom, as pictured. Optional: You can double this step by passing another wire through, creating an x shape. Step 7: Bend the wire down about 3 quarters of the way. You should have one side that is slightly longer than the other. 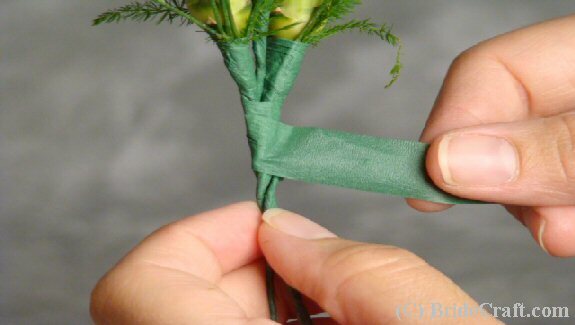 Step 8: From the base of the bloom, begin wrapping the base of the stem and the wire with florist tape. Tip: This “tape” is self adhesive, and may be tricky to get the hang of for a few minutes. Begin by gently pulling on the tape with one hand, and slowly spinning the wire with the other. The tape will become tacky and adhere to itself. 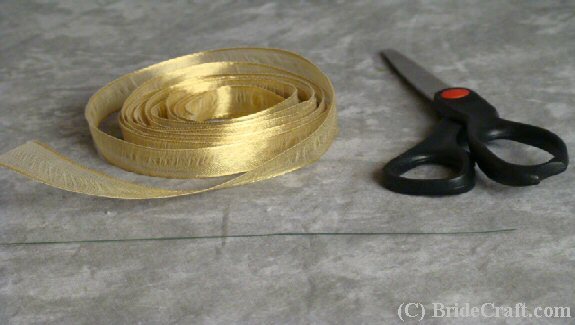 Try to become comfortable with this tape, as you will need it not only when learning how to make a corsage, but with other great projects as well. 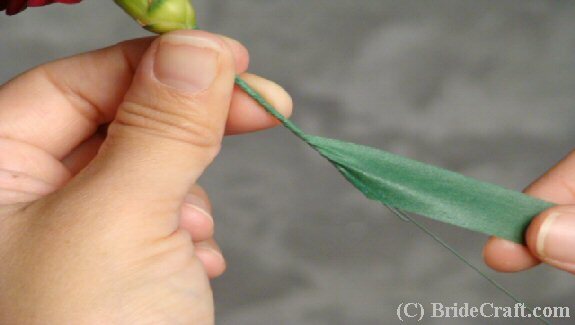 Step 9: Attach the filler flower and the greenery to the carnation bloom with more tape. Tip: You do not need to tape all the way to the bottom again. Just enough to cover the stems that are exposed. Step 10: You should have something like this, with a clear “front” and “back”. Step 11: Repeat until you have five pieces completed. 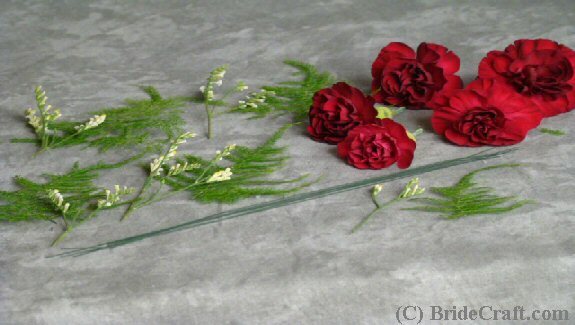 Step 12: Begin creating a triangular design with your carnations. The smallest can be at the top, if you have one that is not as full as the others. 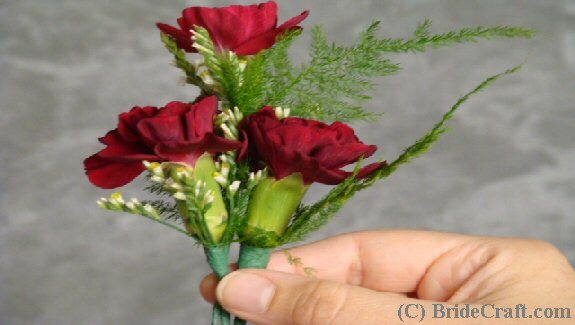 Tip: With carnations that are too tight, you can sometimes do what is called “petting”. 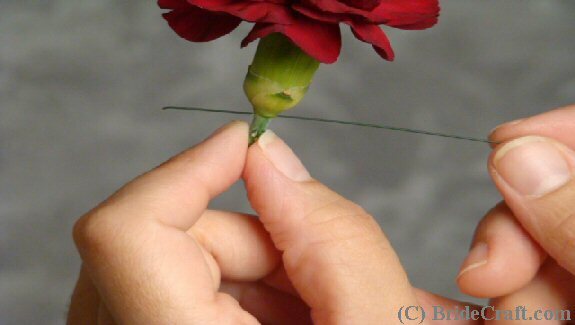 Simply “pet” the petals outward gently until the carnation is more opened. Step 13: Secure the three with tape once they are in a position that you are happy with. 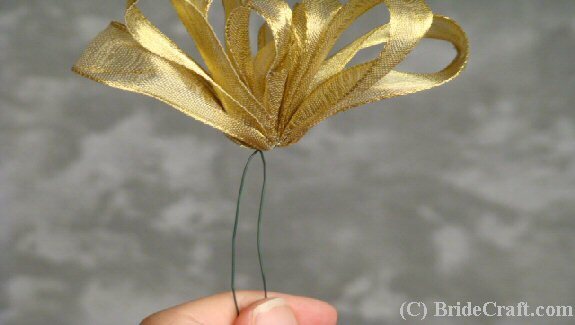 Step 14: Add two more wired flowers, just below the two that create the triangle base. Tape to secure. A beautiful pin on corsage is starting to take shape. 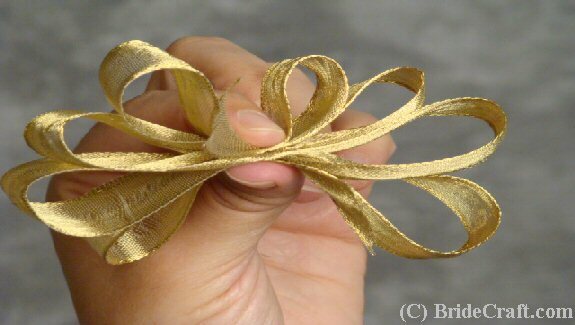 Step 15: You are now ready to create the corsage bow! 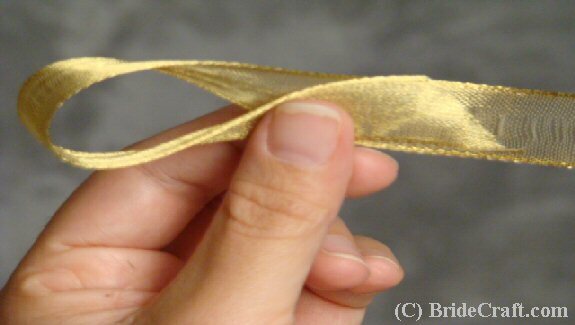 Wired ribbon is not the only ribbon you can use, but it helps if you are not completely confident about your bow making skills. 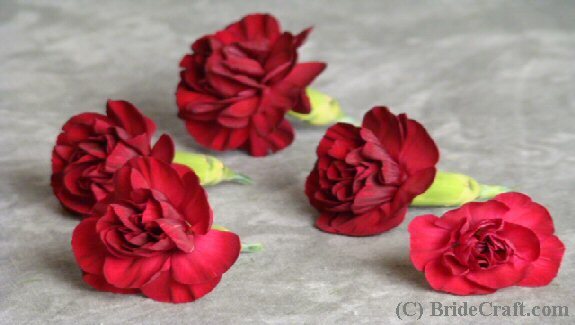 Tip: Do you know how many pin on corsages you’ll be making in advance? 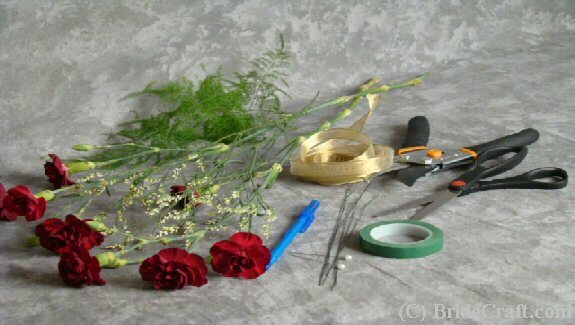 Before you follow our How To Make A Corsage tutorial, make your bows in advance to save yourself time! Step 16: Create a loop with your ribbon. Secure it with your thumb and index finger so it does not move. Step 17: Twist the ribbon from it’s secured place between your fingers (meaning that the long piece of the ribbon has made a complete turn, making the up side face down), and create another loop on the right side. Twist again, and create another loop on the other side. Repeat this step until you have three or four loops on each side. Step 18: Secure with wire. 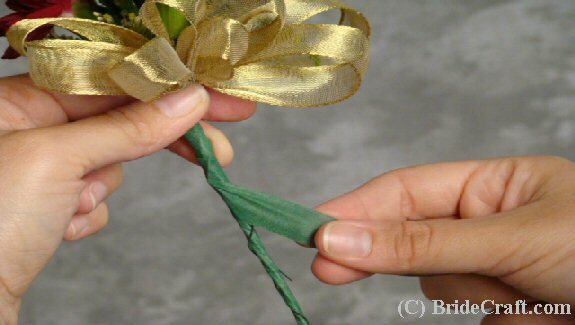 Step 19: Fluff your ribbon and measure it up against the corsage base to decide how you would like it placed. Step 20: Tape the wire to the corsage. 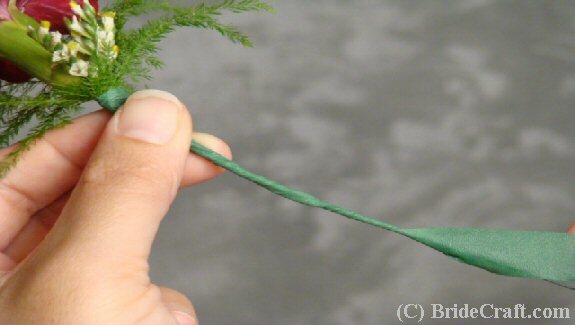 Step 21: Curl the wire “stem” of the corsage around a pen, creating a spiral effect. 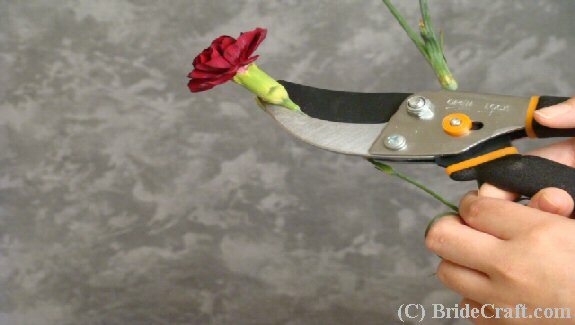 Step 22: Trim any greens that are not complimenting the shape of the corsage. Step 23: Add your large pins and store in a cool place. Voila! 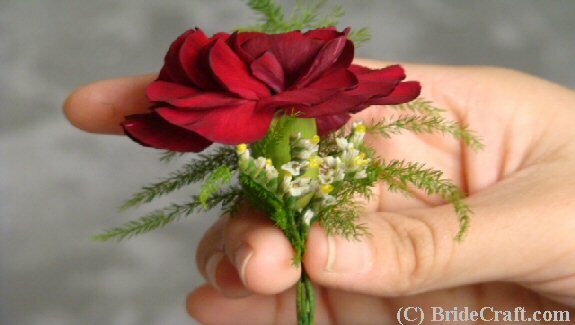 I hope you enjoyed learning how to make a corsage!